Jack is a Partner in our Litigation, Regulatory Compliance & Corporate Governance Departments, where he brings his experience in counseling organizations on a wide range of complex commercial litigation matters and corporate compliance issues. He specializes in complex commercial litigation and regulatory and administrative law matters for clients in a variety of industries. He has over nineteen years of federal and state court trial experience, specializing in business and construction litigation, shareholder and partnership disputes, trade secrets, commercial lending, environmental claims and contract litigation. Mr. Spinella has significant appellate experience representing clients in numerous appeals and reported decisions in State and Federal Courts. 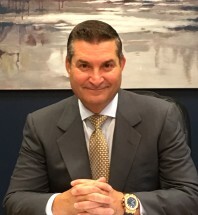 In addition to his extensive litigation experience, Mr. Spinella acts as Outside General Counsel for several companies, providing advice and guidance on numerous business and compliance issues including vendor agreements, employee issues, insurance assessments, regulatory matters, environmental issues and shareholder issues. He also conducts risk assessments and creates codes of business conduct. Mr. Spinella is a qualified mediator and a member of the Roster of Mediators for Civil, General Equity and Probate Cases, having successfully mediated a variety of civil litigation matters including, but not limited to: product liability, director and officer liability, commercial, personal injury, environmental, securities, banking, insurance, employment, Superstorm Sandy matters, property, casualty and construction matters. Marcella v. Sound Distributing, 670 N.Y.S.2d 559 (2d Dept 1997). Baczyk v. Park 25th Assoc., 690 N.Y.S.2d 14 (1st Dept 1999). Mundo v. City of Yonkers, 672 N.Y.S.2d 128 (2d Dept 1997). Trent v. Town of Riverhead, 669 N.Y.S.2d 230 (2d Dept 1998). Kutiak v. Hartz Mountain Industries, A-2507-01T2 (Decided Feb. 4, 2003). Monaco v. Hartz Mountain Industries, 348 N.J. 417 (2004). Scoppettone v. ADJ Holding Corp., 41 A.D. 3d 693 (2d Dept 2007). Truong, LLC v. Anna Tran, A-5752-11T1 (Decided January 9, 2013). Bergstrom v. Wurth USA, Inc., A- (Decided June 19, 2014). “THE TRANSPORT OF RECENTLY PURCHASED AUTOMOBILES OVERSEAS: THE STATE OF LAW, CURRENT ISSUES AND TRENDS,” National Association of Dealer Counsel, 2014 Fall Conference (Speaker; October 2014). Bergen County (NJ) Bar Association. Member New Jersey Association of Professional Mediators. National Association of Dealer Counsel.